My last couple of Cruelty-Free Brand of the Month posts have been based more on skincare, so I thought it was time I headed back to make-up, and where better to start than Barry M? Everyone loves a bit of Barry M and everyone knows the brand for its magnificent nail polish collections. 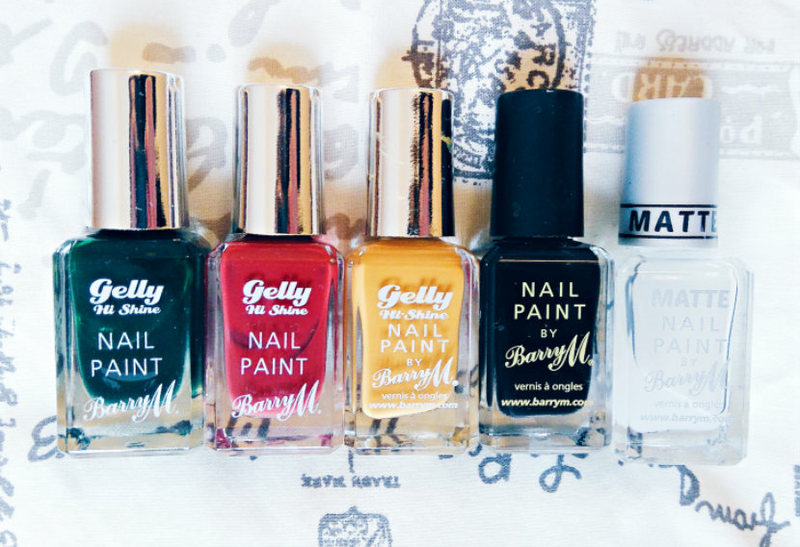 I’ve been buying Barry M polishes since the age of 11, but it was when their magic nail polish was released (remember that?!) that I truly became hooked. Barry M are cruelty-free and proud of it, which is always a bonus (so many standard high street brands aren’t, and it’s a damn shame). They support the Humane Society International’s Be Cruelty-Free campaign, which fights to end cosmetic animal testing, and so far the campaign has succeeded in the EU, India, and Israel. Barry M are very strict about making sure no animal testing occurs throughout their supply chain and they point-blank refuse to sell in China. They also now have a green ‘v’ symbol next to the ingredients lists of any vegan products, which makes it so much easier to see what you can buy if you don’t use anything that contains animal-derived ingredients. I feel like I can buy Barry M products in complete confidence and the fact their products are all high street prices just makes things ten times better, although it does mean it’s easier to get carried away! We’ve all gone into Superdrug for some tissues and come out with a new make-up collection at some stage, right? Recently my love for Barry M has been reaffirmed after trying the Sunset Daylight Curing Nail Paints. They’ve been out for a while now so they’re not really news, but for some reason I overlooked them. That is until The Dark Side of the Shroom (v) caught my eye and suddenly I had to try them out. I started with that and then sealed it with the top coat, and was taken with how shiny my nails looked, and how well the colour stayed put. A word of warning: these polishes do not like hot water, so wear rubber gloves if you need to wash up or the colour will peel. Sunset Daylight Curing Nail Paints in Vengeance Is Wine and Plum On Baby Light My Fire. Both are shades I would wear all the time and I’m also loving the cheesy, punny names. Genie Lip Paint. A green lipstick that turns into your own personal shade of pink — how cool is that? Angled Eyeliner Brush. The only angled brush I already own is the one I use for my eyebrows but I’d love one for my eyeliner as well. I have no idea what any of the Barry M brushes are like but £2.99 is more than reasonable — I won’t be too mad if things don’t work out. Are you as Barry M-obsessed as me? What’s your favourite shade of nail paint? Let me know in the comments!